The New Year is upon us, and with it comes a slew of New Year’s resolutions. Whether you’re committing yourself to healthier eating or better budgeting, now is the time to get yourself back on track after the lazy days of the holiday season. As you make your New Year’s resolutions, don’t neglect to spend a little extra time paying attention to your plumbing. Here are some resolutions that you can apply to your plumbing systems to help you get the most use out of them. When was the last time you gave your water heater a maintenance checkup? Water heaters need to be flushed regularly to get rid of sediment and buildup, so if it’s been a while since you have done this, now is a good time to get it done. When you call a plumber for this service, ask for a thorough maintenance check to ensure the water heater is working as it should. Do you really know how well your plumbing is functioning? Having it thoroughly checked by a plumbing professional is the only way to ensure there are no hidden leaks or problems about to pop up. If you have never had your system inspected, now is the time to schedule it. Make this the year you attend to plumbing problems quickly. If you’re noticing leaks, noises, or a toilet that keeps running, don’t delay, which could make the problem worse. Call a plumber right away to have the issue addressed. Finally, take this year and make it the year you don’t waste water. From turning off the tap to installing more energy efficient faucets, toilets, and other fixtures, you can lower your water bills significantly while also knowing that you are doing what you can to protect the environment. Do you need help reaching these resolutions in the keysborough or Dandenong area? Call the plumbers at Alderbrook Plumbing for a comprehensive list of plumbing services. 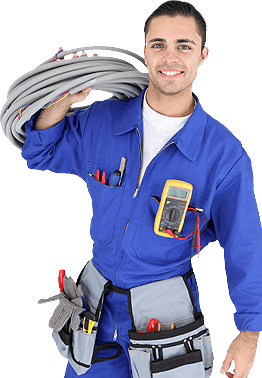 From inspections to repairs and installation of new system components, we can do it all! Give us a call at 0418 313 283 or fill out a contact form to learn more.